Hi everyone, I am participating in the Designer Crafts Connection blog hop this month. And this month we are working with etchall®. Today, I've created a travel frame using etchall® etching crème. 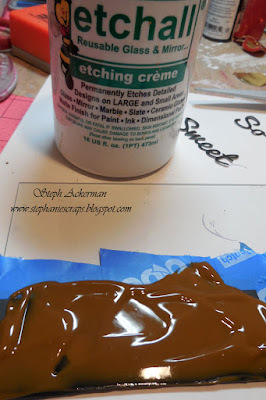 Etchall etching creme is a re-usable crème that produces a white opaque, permanent etched finish on glass, mirror, ceramic, porcelain, marble and slate. 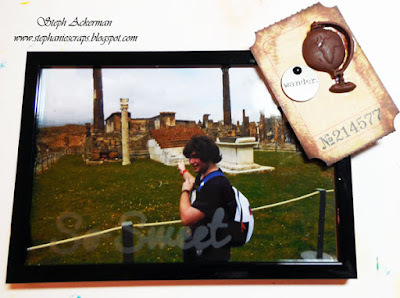 I wanted to document my son's trip but I didn't want a lot of distractions. 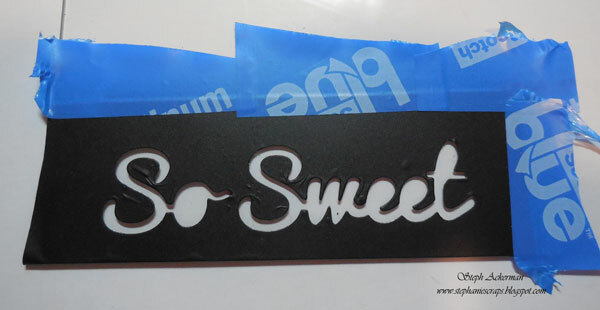 Using etchall® etching crème allowed me to add a sweet phrase on the glass. 1. Using a Spellbinders die, I die cut a phrase from vinyl. 2. Use painters tape to tape the vinyl phrase to the glass. This ensures that the etching crème does does not get on the glass. Burnish well to keep the etching crème from getting under the letters. 3. 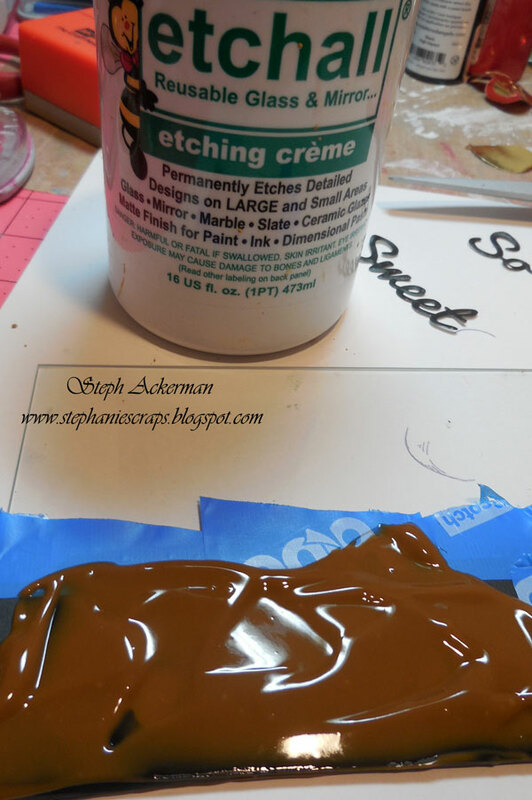 Cover the phrase with etchall etching crème. Let sit for approximately 15 minutes. 4. Remove the etching crème and place it back in the jar. Since etchall is reusable it can be used on multiple projects. 5. Rinse the frame to remove the remaining etching crème. Remove the painters tape and the vinyl. Rinse again and buff dry. 6. 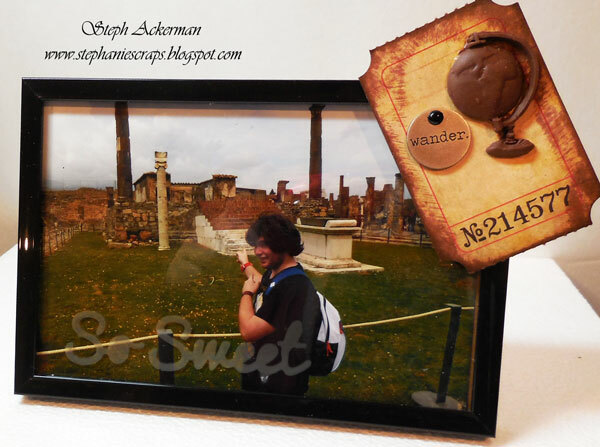 Finally I added some travel elements to the corner of the frame - a ticket stub, a "wander" tag and a globe which I created from Makin's Clay®. All of which fit the travel theme. 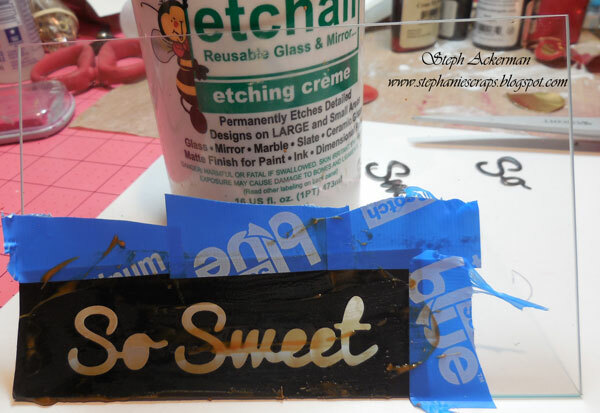 Have you tried etching? 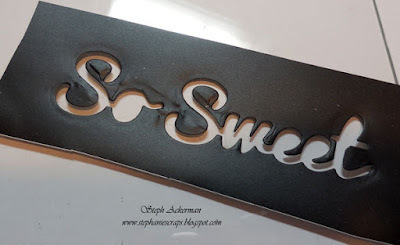 Please stop by the Designer Crafts Connection blog to see an assortment of etched projects. 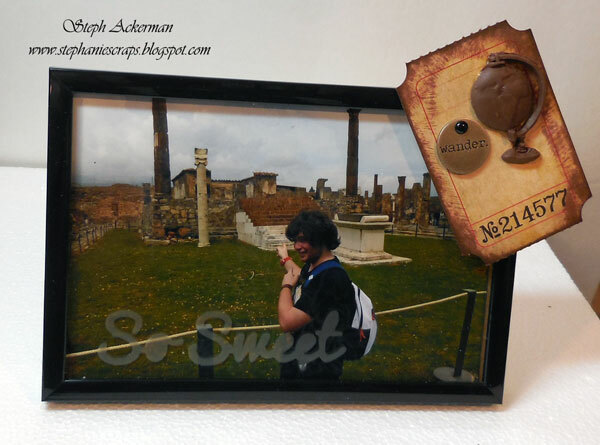 I love the dimension this gives to a framed photo! Very cool! Great job. This looks very nice. Steph - lovely project! Love the dimensional element you added to the frame. too!